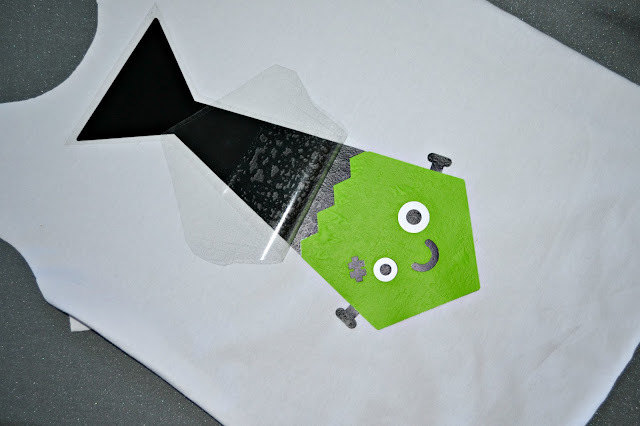 Halloween sewing seems to have really taken over here! It's my favorite Holiday to sew for since imagination and fun get to run wild and free! 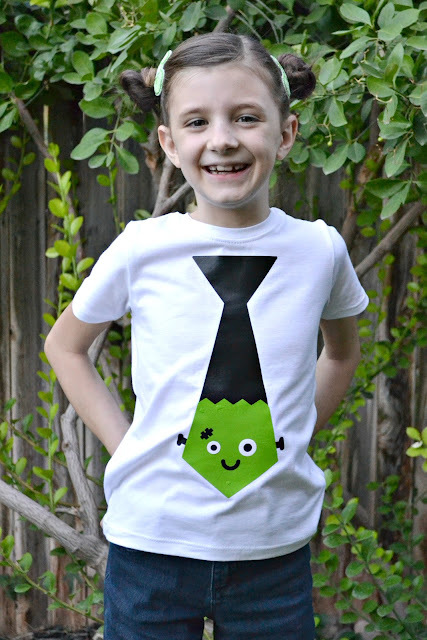 These spooky shirts are so easy to make too! 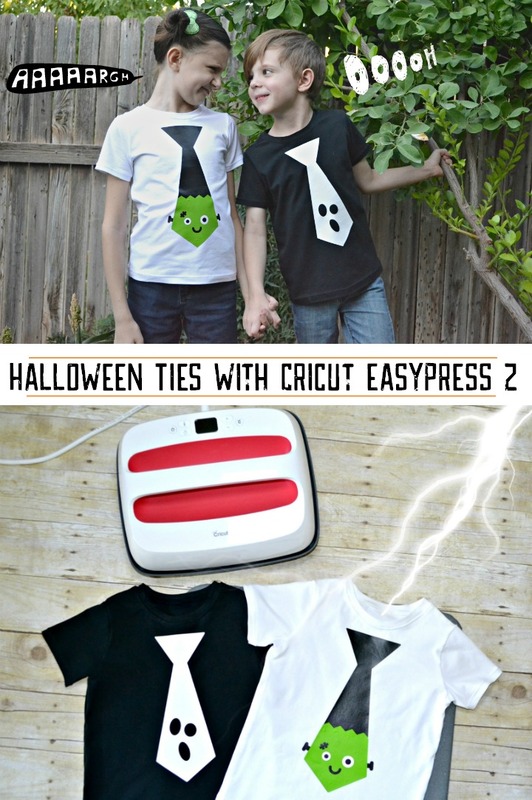 Head over to Cricut Design Space and click on the Halloween Ties project. 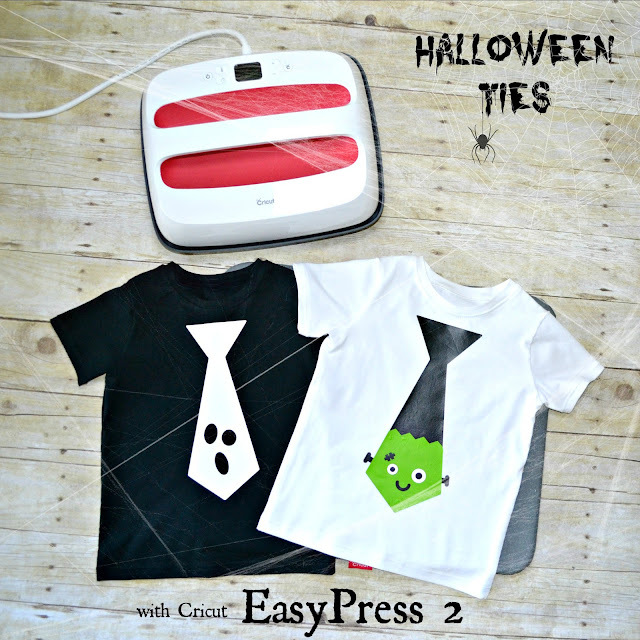 EasyPress 2 12" x 10"
10" x 12" which is exactly the right size for those bigger projects, like t-shirts for your older kids and adults! What else is different with the new and improved EasyPress? The first difference I really noted was the temperature. The new presses can go up to 400 degrees! It's still insulated really well and the base keeps your area nice and safe while on. These new ones heat up faster and also comes with a USB port for firmware updates. They're so easy to use and great for smaller spaces! 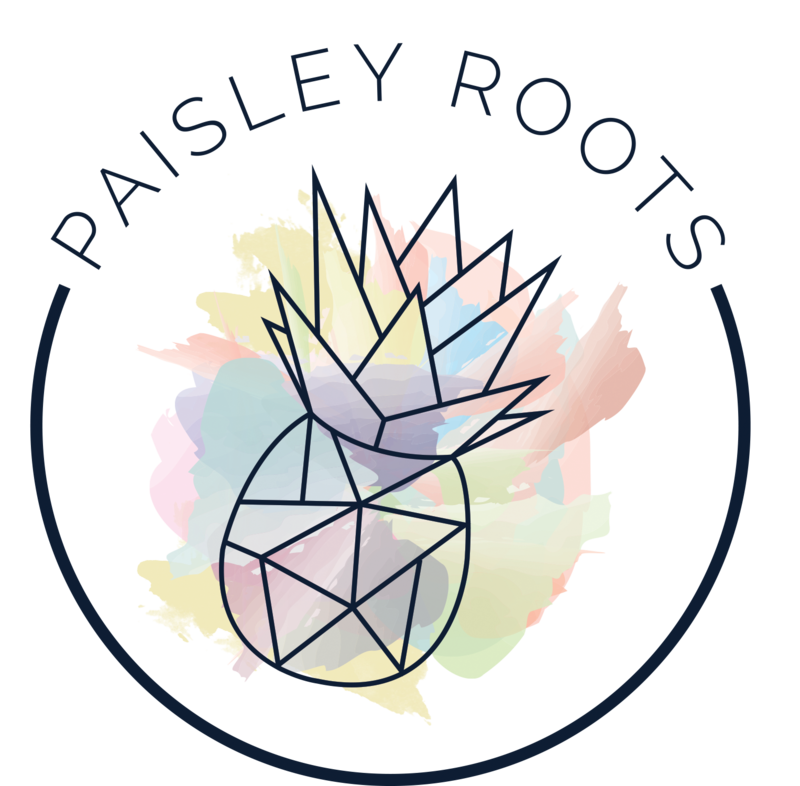 They're made with a ceramic-coated heat plate for even heat and will have your design pressed to your shirt in 60 seconds or less. The last difference is the color. It now comes in Raspberry! And yes, they also have the regular 9"x9" in raspberry too! 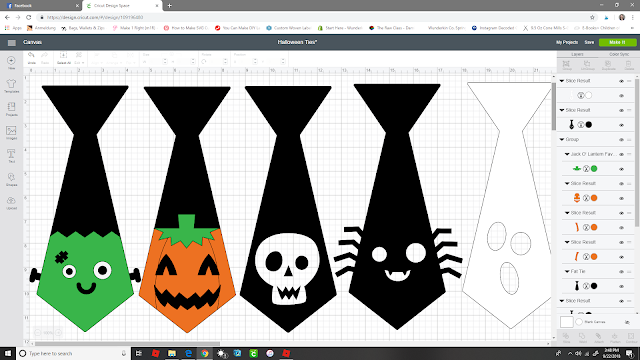 I designed these Ties in Cricut Design Space using images that are free with the subscription. Frankenstein is personally my favorite. There's also a pumpkin, skull, spider (Jude's favorite) and a ghost. The Spider, Ghost, and Skull are all just one color, but the other two you get to do some layering! 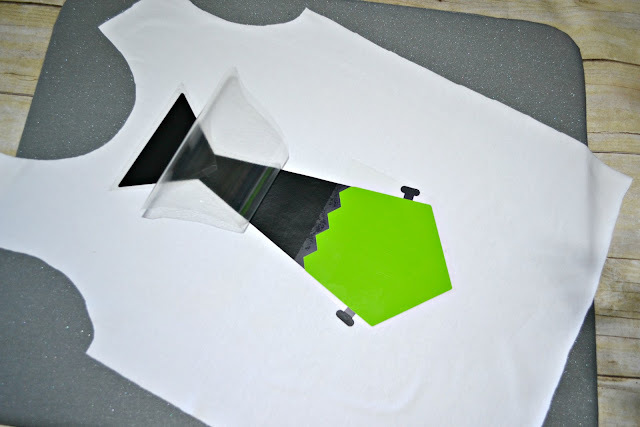 If you haven't used layers in Iron-on, it's super easy. 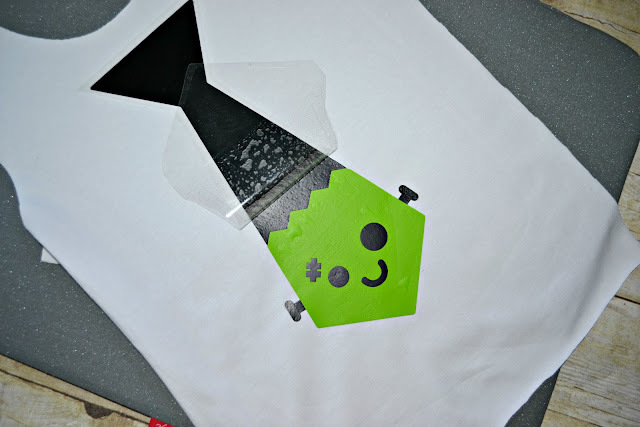 Then once that's ironed on you will peel the protective film up and center the next layer on top. Return the film over the whole thing and press again. Look at his cute little face! 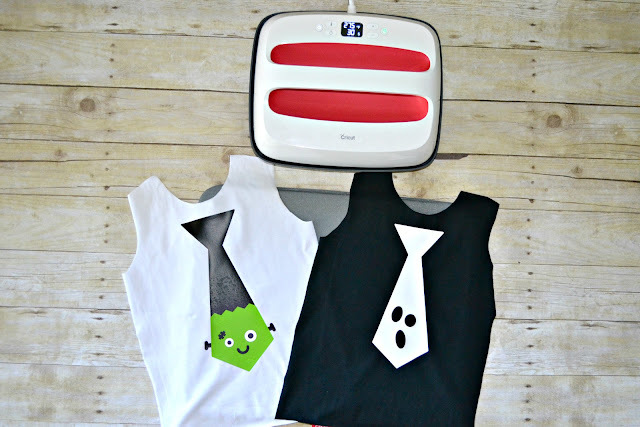 Cricut has a Strong-bond guarantee with their Iron-on. This means that when used correctly and as directed, your design should outlast 50+ wash and dry cycles. If not, Cricut will replace it for free! 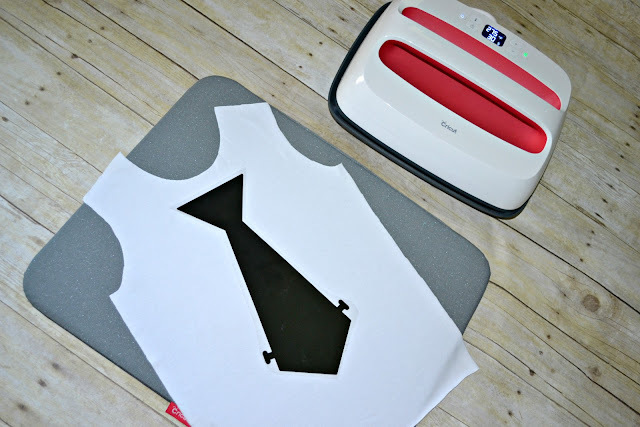 My girls swimsuits that I made with Cricut's sportsflex this past April still look brand new, so I quite love this stuff! Which design is your favorite? ?